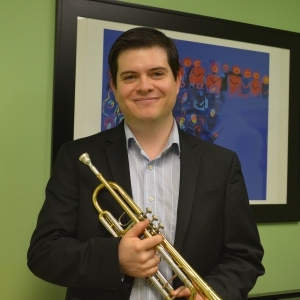 The Brass instruments taught at Joe Ferrante Music Academy include the french horn, the trumpet, the trombone, and the tuba. 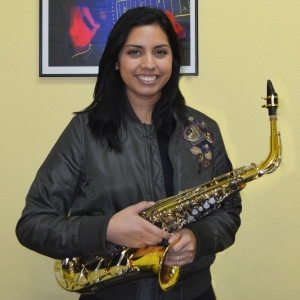 Students learn such basic techniques as: assembling the instrument correctly, how to hold the instrument, proper breathing techniques and body posture, how to use the reed and mouthpiece, and how to produce quality tones. Teachers focus on fundamentals like reading music, rhythms, dynamics, key signatures, and the different fingerings to play each note. Brass instrument students practice a variety of technical exercises to study how to produce quality sound, long tones, and to develop their breath support, tongue positioning, embouchure, and intonation. Additionally, students studying the brass instruments concentrate on how to smoothly connect the lower and upper ranges. Once our students have mastered music fundamentals and basic brass techniques, they progress onto more advanced techniques such as scales, arpeggios, tonguing, articulations, and hand and finger positions in order to gain both speed and agility in their playing. Students will continue to study the rudiments of the technique, master scale drills, study out of etude books, work on orchestral excerpts and more difficult brass instrument repertoires. Learning specific repertoires alongside technical training, our teachers aid students in learning their school music, master a solo, or get into their varsity marching band. At their inclination, students can study jazz, pop or classically based music, music for their school band, and/or how to improvise on the brass instruments. At a more advanced level, students continue to study the rudiments of the technique, master scale drills, study out of etude books, work with speed and agility in the higher range and how to achieve flexibility in their playing.